The Great Depression is rarely associated with business success. Nevertheless, on May 19, 1932, Harold Miner and Ralph Dunn put hard luck aside, and set out to defy the odds. 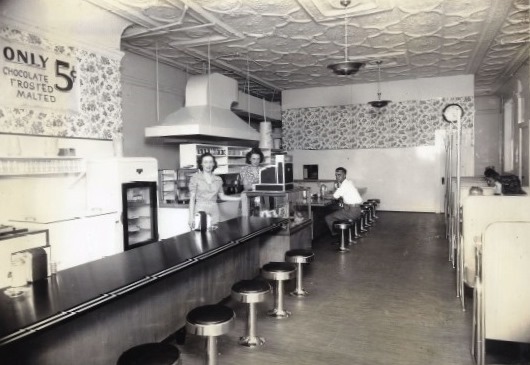 With just $80, and one heck of a hamburger, they opened the doors to the first Miner-Dunn restaurant at 5440 Calumet Avenue, Hammond, IN. At its humble beginning, Miner-Dunn consisted of little more than six stools, a simple kitchen, and a steadfast commitment to quality and service. From there, the duo navigated the twists and turns of the 20th century to grow Miner-Dunn into a Region institution, opening multiple locations in Indiana and Illinois. Today we are located at 8940 Indianapolis Boulevard in Highland, IN. You might be looking us up on your smartphone, tablet, or laptop, but you'll still be welcomed with the same smiles and real hamburgers that greeted folks back in 1932. That's because the philosophy that Miner-Dunn was founded on hasn't changed a bit: A delicious meal, and friendly service at an affordable price.